A small mining town in Eastern Kentucky, Harlan has a population under 2,000 people and a median household income of only $17,270per year. 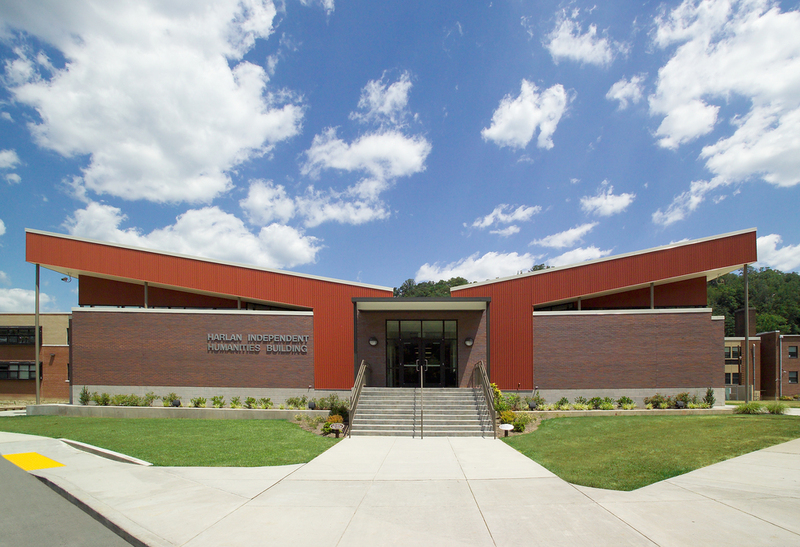 In spite of its size, the Harlan Independent school district offers an excellent education to its students and was recognized by US News and World Report as having one of the best high schools in the country. 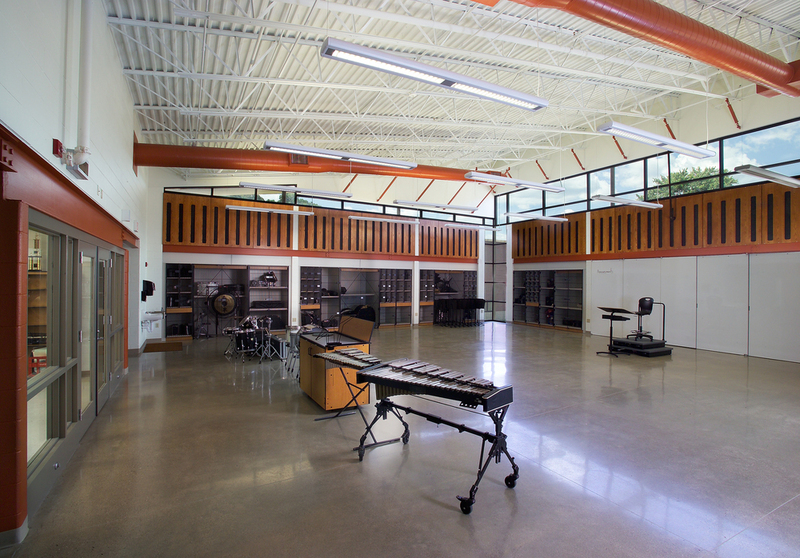 Harlan Independent enlisted us to design an addition for their existing Middle School and High School which would accommodate new music and band rooms, instructors’ offices and sufficient storage for instruments and choral equipment. We worked with the faculty to redefine the traditional relationship among storage, office and instructional spaces in a way that would better suit their needs. Offices became extensions of classrooms allowing instructors to maintain their connection to students. We decentralized the storage by lining the perimeter of both the chorus room and the band room with lockers and cubbies. Students are now able to spread out during instrument set-up which reduces congestion and ultimately increases teaching time. Circulation space typically lost in traditional storage rooms can now become additional instructional area. 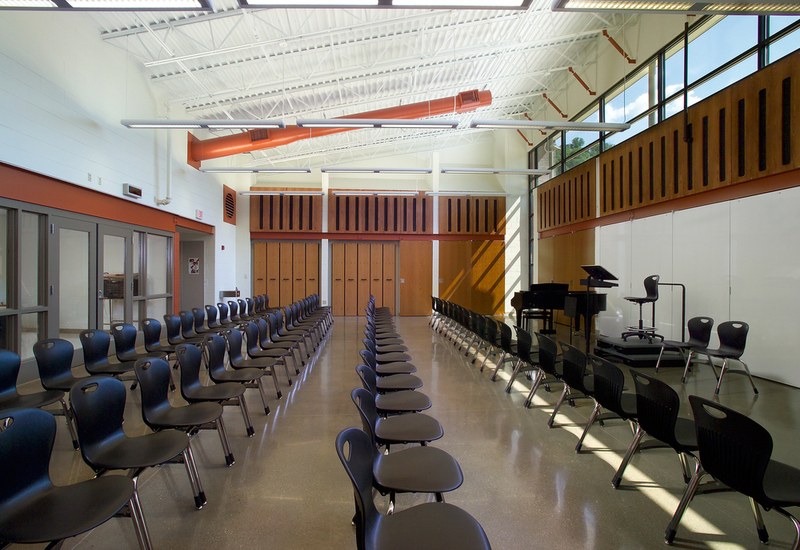 As well as being more spatially efficient, our in-wall storage solution provides additional acoustic insulation between music rooms and adjacent spaces. 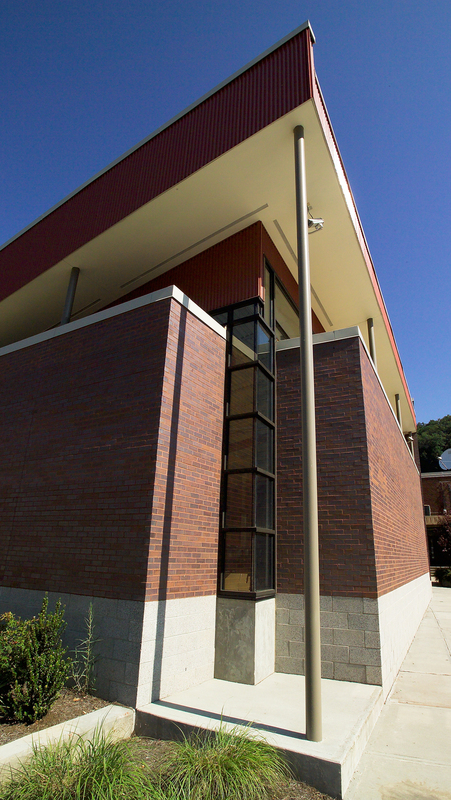 Harlan Independent's Humanities Building provides faculty and students with beautiful, light-filled spaces that are functional and efficient. 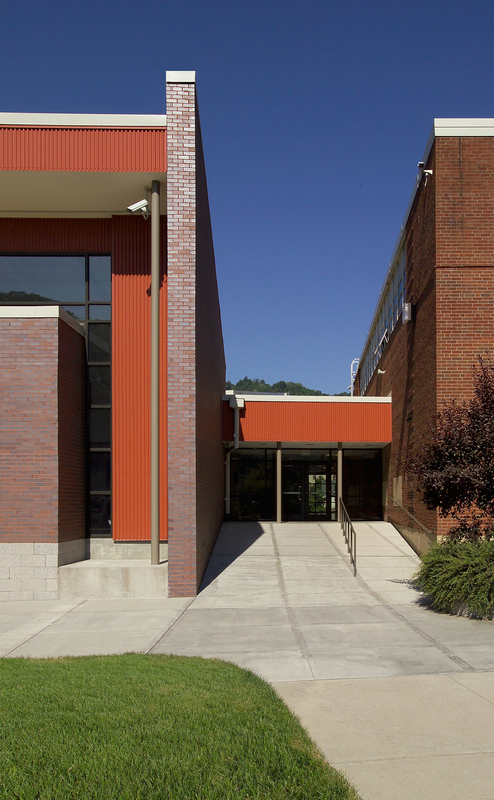 The design improves student focus, maximizes instructional time and supports the district's commitment to excellence.